For background information on the Community Action Partnership, members of the media can consult our About Us page and refer to the Promise of Community Action. Thank you for reaching out to the Community Action Partnership about your press inquiry! 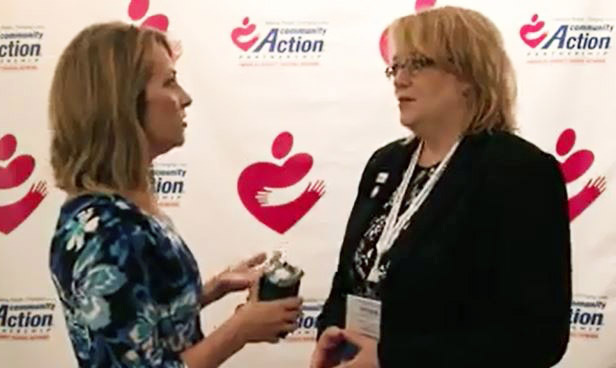 The Partnership’s CEO Denise Harlow being interviewed at the annual convention in Philadelphia, PA, in 2017.